According to Table 2, the 3 enfolded Type A polygons have 157 yods. 154 yods surround their centres. 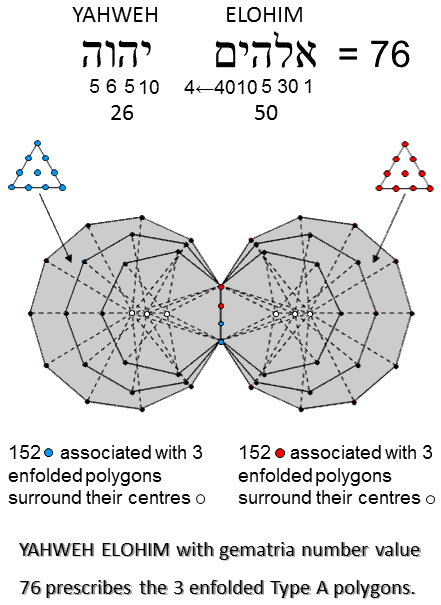 As two yods in the root edge can be associated with each set of enfolded polygons, 152 yods surrounding their centres can be associated with each set. 152 is the 76th even integer, where 76 is the number value of YAHWEH ELOHIM, the Godname of Tiphareth.